Earn 9,000 points and $6 RR! Small Walgreens Haul: Saved 96%! Here today, I bring you my little Walgreens haul! I had a $5 RR expiring on 04/06 so I made a quick trip to Walgreens to use it before losing it! Nothing too crazy going on at "Wags" today but managed to earn back 3,000 balance rewards points along with a $0.99 RR. Earned 3,000 Balance Rewards Points and $0.99 RR! 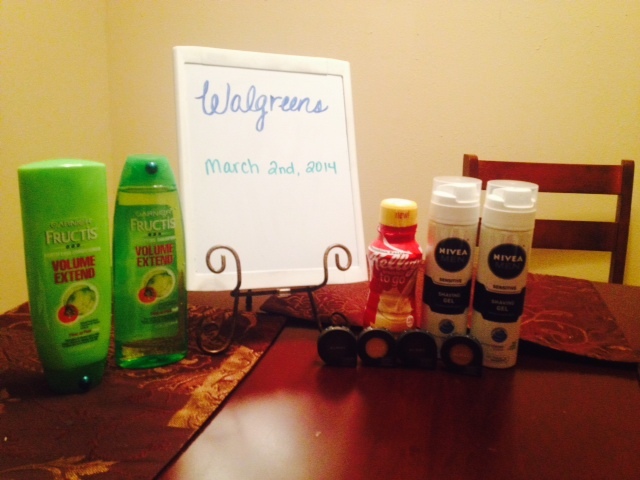 Walgreens Deals for 03/23/14: Saved $45.19 - Spent $2.99! Hello frugal friends! I would say my most favorite item to save on is a good quality razor (free make-up is always a score too!). 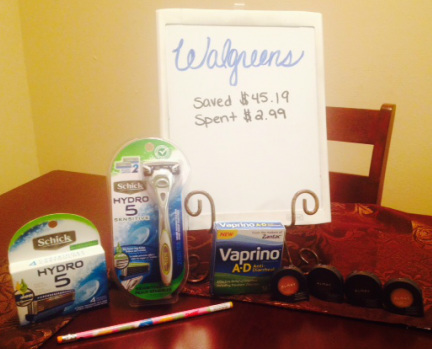 This week at Walgreens, I redeemed my $5 Happy Cash I earned from last week's sales! In order to redeem your Happy Cash, you must spend $30. So here is a great scenario I conjured up to meet that $30 mark. Only one transaction was completed and I had a total of $7 in Register Rewards and $5 Happy Cash! Total: $10.48, earn 5,000 points, essentially $2.74 each! Earned $5 RR and 5,000 points = $10 for next week! 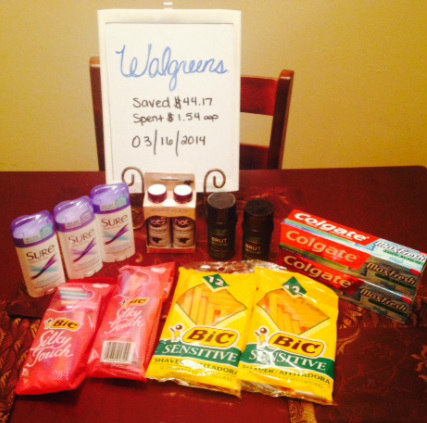 Walgreens Deals for 03/16/14: Saved $44.17 - Spent $1.54! Hello Walgreens shoppers! I decided not to upload a video last week due to how the deals were and I spent about $14 out of pocket. Just didn't think it was Youtube worthy. Last week, I did earn 10,000 Rewards Points from the Points Booster promo last week! I only did one transaction and used 10,000 points. I am taking advantage of the Happy Cash promotion Walgreens is holding this week! So essentially this trip was a slight money maker since I walked in with $10 in points, paid $1.54, and left with $12 in RRs/Happy Cash! 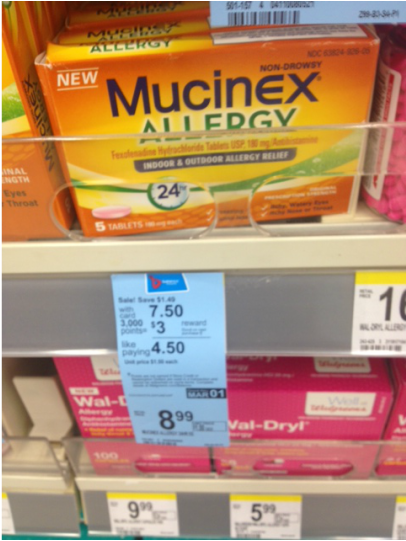 Walgreens Deals 03/02/14: Saved $29.79 - Spent $3.80! I'm not quite sure what I think about Walgreens. Their sales have been kind of lacking and I always seem to spend more than what I would like. They can have some awesome BOGO deals though! 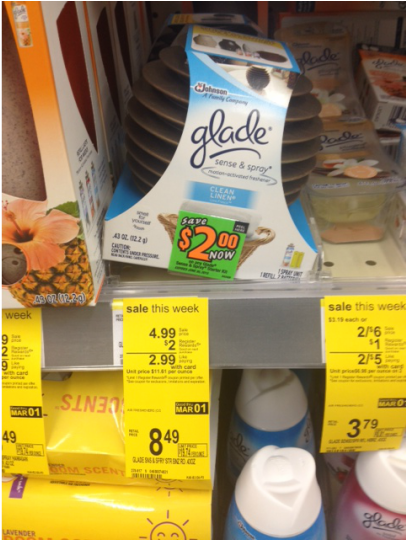 (2) Nivea Shave gels @ $3.49 each - BOGO Free! (4) Almay Softies Eyeshadow @ $4.99 each - BOGO 50% off! Earned $1.49 RR for next week! Hopefully there will be some kind of money maker deals coming soon cause these current RR deals are lame. Well, I did it. I successfully started to shop at Walgreens. I'm excited to start raking in the new deals! I'm still learning how to be Walgreens Pro but until then, here is my little transaction I did today. I had a $4 RR to use from the Mitchum deal a few weeks back. Total: $2.50 - Earn 3,000 Rewards Points - Essentially $0.50 money maker! Not too shabby for just getting my feet wet. Looking forward to these next week's sales since this weekend was a bummer. Thank for reading!